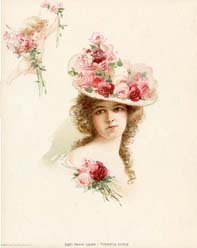 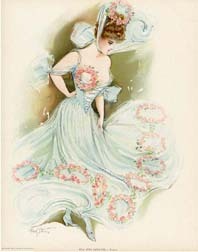 These charming prints feature the artistry of the American illustrator Maud Stumm (1870-1935). 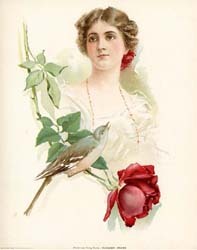 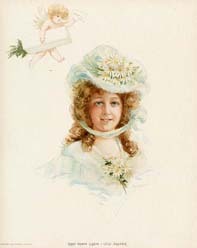 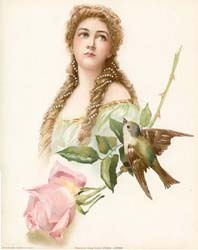 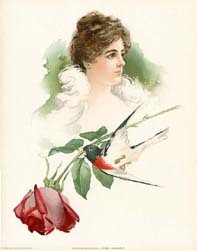 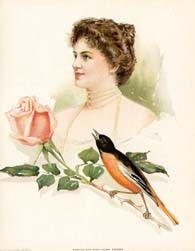 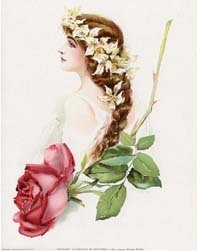 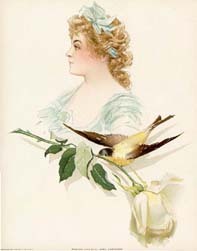 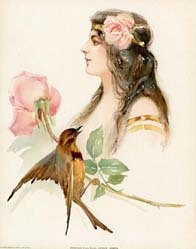 Stumm's specialty was female portraiture, and included women engaged in outdoor activities, as well as stars of the stage and famous singers. 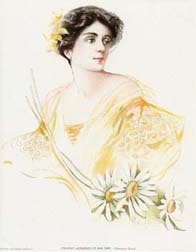 She was also one of the co-founders, with Anne Congdon, of Nantucket's (MA) Sidewalk Art Show.